I've been so good this week: Packing my little lunch thermos with squash curry, tucking a pear and some nuts aside for afternoon snacks. But today I left my snacks at home and had only a small amount of curry left for lunch. So come 4:30, I was hungry and dinnertime felt very far away. I’m giving up: Sugar, booze, dairy. My biggest challenge today: Facing a minor food shortage. I’ve been so good this week: Packing my little lunch thermos with squash curry, tucking a pear and some nuts aside for afternoon snacks. But today I left my snacks at home and had only a small amount of curry left for lunch. So come 4:30, I was hungry and dinnertime felt very far away. 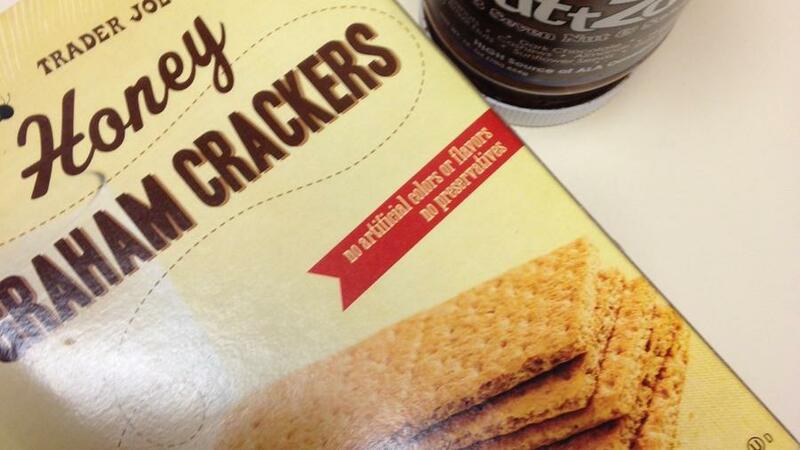 My biggest temptation to cheat: The box of honey graham crackers in my desk drawer. Of which I ate two at 4:32, spread with organic (sugar-free) almond butter. But I waged a fierce internal battle before caving: Consume the 8 grams of sugar or seek out an overpriced, healthy-ish snack from across the street? I chose the cheapo version, which left me feeling disappointed with myself. Within the past 24 hours, I’ve easily sailed past a ledge lined with chocolate bars, a crinkly bag filled with homemade peanut brittle, and–toughest of all–stood near four decadent pies at a coworker’s going away party without taking a bite. So to break my commitment for a couple of mediocre graham crackers was kind of anticlimactic. But I redeemed myself by putting CSA veggies to good use in this delicious vegetarian bibimbap tonight. I feel: Like the sugar monster is lurking somewhere inside me, just waiting for a moment of weakness. But, overall, I feel clear-headed, healthy, and strong. Follow me on Twitter (@aislyngreene) and Instagram (@aislynj) for real-time #SunsetEatFresh updates.